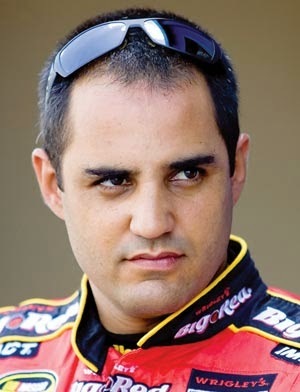 Team Penske announced today that Juan Pablo Montoya will make two NASCAR Sprint Cup Series starts for the team in 2014. Montoya will pilot the No. 12 SKF Ford Fusion at Michigan International Speedway on June 15 and he will also compete for Team Penske in the Brickyard 400 at Indianapolis Motor Speedway on July 27. The No. 12 car sponsor for the Brickyard 400 will be announced at a later date. NASCAR veteran Greg Erwin will work with Montoya as crew chief of the No. 12 Ford entry. A former full-time NASCAR competitor from 2007-2013, Montoya has recorded two wins, 24 top-five finishes and nine pole awards in his Cup Series career. He owns career-best finishes of sixth at MIS and a top result of second at IMS. Montoya will join the winning Team Penske duo of Brad Keselowski and Joey Logano, both of whom have already visited Victory Lane in 2014. Since joining Team Penske in 2012, an SKF-sponsored entry has made three NASCAR Cup Series starts. SKF earned its first NASCAR victory with Team Penske and Keselowski in the Nationwide Series last season. In addition to the race at MIS with Montoya, the No. 12 SKF Ford will also compete at Kansas on May 10 and at Talladega Superspeedway on October 19 with Team Penske driver Ryan Blaney. "Our partnership with Team Penske continues to grow year after year, and adding another dynamic driver like Juan Pablo Montoya to the SKF Racing team is exciting for both our employees and customers worldwide," said Poul Jeppesen, President and CEO, SKF USA Inc. "Like Team Penske, SKF is committed to the sport of auto racing and the Detroit area, and we look forward to cheering Montoya to Victory Lane at Michigan in June." When Trevor Bayne takes the green flag on Sunday at Talladega Superspeedway, it will mark his 50th career Sprint Cup race, all of them coming in the No. 21 Ford Fusion fielded by the famed Wood Brothers race team. Team co-owner Eddie Wood said Bayne, now 23, has been a good fit for his family-owned team since making his Cup debut and his first run in the No. 21 Motorcraft/Quick Lane Ford Fusion in the fall of 2010 at Texas Motor Speedway, where he finished a strong 17th. Making the milestone start at Talladega suits Bayne just fine, even though he hasn’t had the success there that he’s had at other tracks. His best run there came in the spring of 2012, when he posted his 2nd top ten finish in just four races for that season, with an 8th place finish. “Talladega hasn’t always been the best for me,” Bayne said. “I’m looking to redeem myself this biggest challenges this weekend is the new “knockout” style qualifying that will be used at a restrictor-plate track for the first time in the Sprint Cup Series. 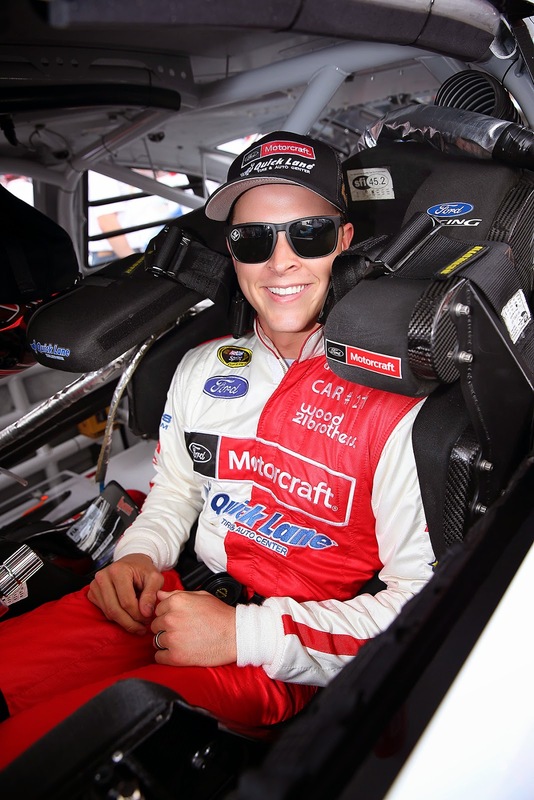 “That will be a little nerve-wracking,” Bayne said, adding that, unlike the race, the most important thing is to be in a fast group but not necessarily at the front of the field, where he hopes to be when the checkered flag falls on Sunday afternoon. Qualifying for the Aaron’s 499 is set for Saturday at 1:10 p.m. eastern, and the race should get the green flag just after 1:00 pm ET. Talladega Christens "Alabama Gang Superstretch"
The backstretch at Talladega Superspeedway was renamed “The Alabama Gang Superstretch” today, in honor of a notable group of drivers who left their homes in search of a better place to race. Setting up shop in Hueytown, Ala. in the late 1950’s., brothers Bobby and Donnie Allison and fellow Florida native Red Farmer dominated the southern stock car circuit throughout the 1960’s and 1970’s, making the Alabama town (and themselves) synonymous with big-time stock car racing. Farmer is the grandfather of Charles (Charlie) Brock, car chief on the No. 60 Nationwide Series team at Roush Fenway Racing. Charlie was onsite at today’s unveiling and said he could not be prouder to come from such a historic bloodline. Farmer is a three-time champion in what is now the NASCAR Nationwide Series. His best finish in the Sprint Cup series came in 1968, when his finished fourth at the Middle Georgia 500. He won several championships at local tracks, and made relatively few Cup Series starts due to his satisfaction with the Late Model Sportsman series. Now in his ‘80s, Farmer is still pursuing his racing passion and will once again take to the short tracks of Alabama when he visits Talladega this weekend. He is set to run his Super Late Model at the Talladega Short Track on Friday and Saturday night. Brock will not miss the chance to spend time with his grandfather. 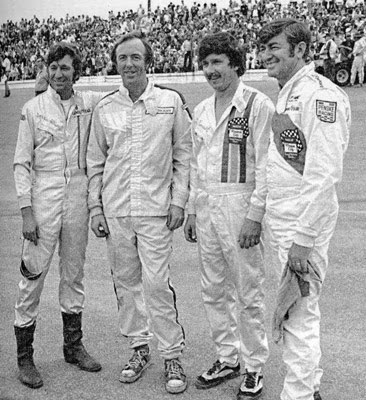 All three of the original “Gang” members will be onsite at the speedway for the special occasion. The cars of Bobby, Donnie and Red will be staged along the backstretch accompanied by those of fellow members Davey Allison and Neil Bonnett, whose lives were both cut short in tragic events. Additionally, the group will give the starting command for Saturday’s ARCA race. 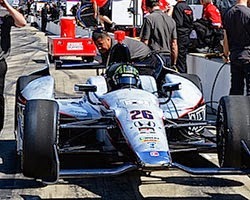 Andretti Autosport engineer Craig Hampson gave Kurt Busch just one bit of instruction as he strapped into an IndyCar and headed onto the legendary Indianapolis Motor Speedway. "Go out and have fun." The former NASCAR Sprint Cup Series champion heeded Hampson’s advice on the 2.5-mile oval during an IndyCar refresher program today, in anticipation of becoming the fourth driver to attempt the "double" -- running the 98th Indianapolis 500 and the Coca-Cola 600 at Charlotte Motor Speedway on the evening of May 25. John Andretti, Robby Gordon and Tony Stewart have each done it, with Stewart -- co-owner of Busch's No. 41 Sprint Cup car at Stewart Haas Racing -- becoming the first in 2001 to complete all 1,000 miles. "This attempt is something serious," said Busch, who is scheduled to join other Indy 500 rookies on May 5 at the speedway for additional laps. "It's an amazing challenge." Busch got off to a quick start in the Honda-powered No. 26 Suretone car, recording a best lap of 220.844 mph during 66 total laps, before rain brought an early end to the day. "It really makes you think," Busch said. "Overall, it was a good day just to settle in with the team and advance further than rookie orientation. It felt good to give feedback to the team from the car and have them explain things to me how we're going to move forward. They continued to change downforce combinations on the car and it was just neat to feel all that and check it off the list. "The last run we made was just about where they would unload for race trim." Because he tested on the oval last year in an Andretti Autosport car, Busch was required to complete the formal refresher program. In addition to demonstrating car control, placement and consistent driving pattern, the program consists of 30 laps that constitute the second and third phases of the Rookie Orientation Program at speed intervals based on track and weather conditions. "Now that all the newness and moments of smiling and 'this is Indy' are wearing off, that's when the serious (stuff) goes on and we start to ramp up the program." Andretti Autosport's James Hinchcliffe, who joined multiple other Verizon IndyCar Series drivers watching the first cars on the oval in 2014, said he expects Busch to be among the '500' contenders. "I think we're going to be strong in the race and I think we've showed that the past couple of years," said Hinchciffe, who drives the No. 27 United Fiber & Data car. "He has more professional races under his belt than the rest of the field combined with as many races as NASCAR runs and I'm sure he's going to adapt pretty quickly." NASCAR has penalized drivers Marcos Ambrose and Casey Mears for their involvement in a post-race altercation in the garage area following last Saturday night’s NASCAR Sprint Cup Series race at Richmond International Raceway. Ambrose, driver of the No. 9 car, and Mears, driver of the No. 13 car, were found to have violated Sections 12-1 (actions detrimental to stock car racing), and 12-4.9 (Behavioral Penalty; involved in an altercation in the garage area after the race) as outlined in the 2014 NASCAR rule book. As a result, Ambrose has been fined $25,000 and placed on NASCAR probation until May 28, while Mears has been fined $15,000 and placed on NASCAR probation until May 28. 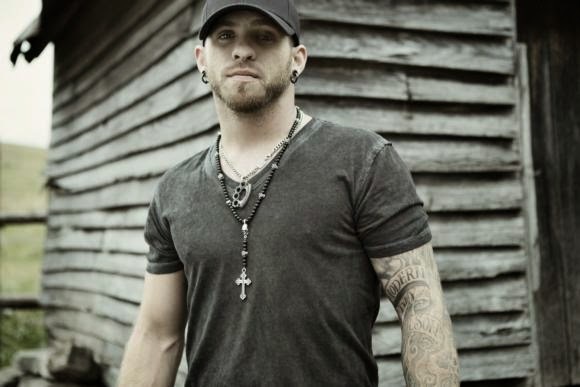 Chart-topping country music star Brantley Gilbert will get fans pumped for the Coca-Cola 600 with a special 45-minute frontstretch pre-race concert presented by Coca-Cola and the USO on Sunday, May 25 at Charlotte Motor Speedway. Fans can purchase a $99 Coca-Cola 600 weekend ticket package with a frontstretch ticket to the race, delivering the best views of the concert on Sunday. The package also includes a ticket to LiftMaster Pole Night and the Saturday afternoon HISTORY 300 NASCAR Nationwide Series race. Tickets can be purchased by calling the speedway ticket office at 1-800-455-FANS (3267) or online at www.charlottemotorspeedway.com. Goodyear has unveiled its newest “Support Our Troops” tire. The custom tires coincide with the launch of Goodyear's fifth annual "Goodyear Gives Back" campaign—a charitable program benefitting the Support Our Troops Organization, a nonprofit nationwide organization that works to bolster the morale and well-being of America's troops and their families. 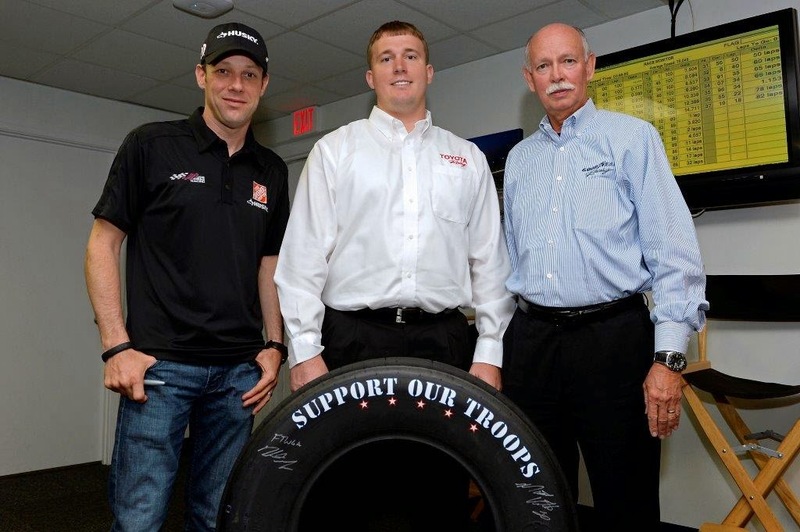 The 2014 “Support Our Troops” race tire will be used during all NASCAR races leading up to Memorial Day at Charlotte Motor Speedway. NASCAR Hall of Famer Rusty Wallace showed off a racing icon – Daytona International Speedway – to legendary poker champion Phil Hellmuth on Monday by giving the 13-time World Series of Poker champion a “hot lap” around the 2.5-mile tri-oval. 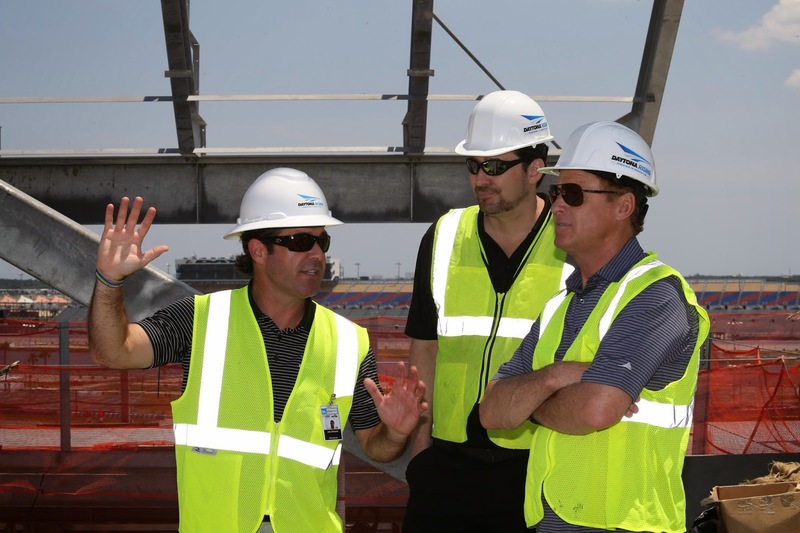 Following the “hot lap,” Daytona International Speedway President Joie Chitwood III gave both Wallace, who now serves as an analyst for ESPN, and Hellmuth a tour of the DAYTONA Rising construction site. DAYTONA Rising is a $400 million reimagining of the historic Daytona International Speedway. Five expanded and redesigned entrances, or “injectors,” will lead fans to a series of escalators and elevators, transporting them to three different concourse levels. Each level features spacious social areas, or “neighborhoods,” along the nearly mile-long frontstretch. At the conclusion of the redevelopment, Daytona International Speedway will have approximately 101,000 permanent, wider and more comfortable seats, twice as many restrooms and three times as many concession stands. In addition, the Speedway will feature over 60 luxury suites with track side views and a completely revamped hospitality experience for corporate guests. DAYTONA Rising is expected to create 6,300 jobs, $300 million in labor income and over $80 million in tax revenue, will be completed in time for the 2016 Rolex 24 At Daytona and DAYTONA 500. DAYTONA Rising was recently cited as a key source of expected job growth in Volusia County as part of the Manpower Employment Outlook Survey. Barton Malow is the design-builder for the project. In addition to DAYTONA Rising, Barton Malow has renovated the University of Michigan “Big House” and the Rose Bowl. ROSSETTI, an award-winning architectural design and planning firm for the past 40 years, which headed the design for Ford Field NFL Stadium, University of Notre Dame Compton Family Ice Arena and five Major League Soccer Stadiums, is leading the master planning of the DAYTONA Rising site. Race fans can follow the progress of the DAYTONA Rising project by visiting www.DAYTONARising.com. Two prominent individuals making a positive impact in the state of Alabama will serve in honorary capacities during Talladega Superspeedway’s Aaron’s Dream Weekend. Alabama Governor Robert Bentley will be the Grand Marshal for Sunday’s Aaron’s 499 NASCAR Sprint Cup Series race and will give the most famous command in all of motorsports; “Drivers, Start Your Engines.” Auburn University Head Football Coach Gus Malzahn will serve as the race’s “Honorary Pace Car Driver,” leading the field of NASCAR’s best drivers during the pre-race pace laps. Since he was elected in 2010 as the 53rd Governor of the State of Alabama, Governor Bentley, who will give the drivers’ command from the start/finish line, has been committed to creating jobs for the people of Alabama. In January of 2001, the unemployment rate was 9.3 % but had dropped to 6.3 % in July of 2013. A native of Shelby County, Governor Bentley has led legislative efforts to increase incentives for new businesses and industries, to protect consumers by controlling the rising costs of homeowner’s insurance, to reform the state’s pension system and to streamline government services and reduce spending. He and his wife of 48 years, Dianne, have four sons and seven granddaughters. Malzahn will be driving Talladega Superspeedway’s official Ford Fusion pace car for the Aaron’s 499 around the 33-degree banked turns of the track’s 2.66-mile layout. He received national acclaim for overseeing one of the biggest turnarounds in college football history last year. Inheriting a team that didn’t win a game in the Southeastern Conference in 2012, Malzahn led the Tigers to the SEC title and a trip to the BCS Championship Game. Known for his hurry-up, no-huddle offense, Malzahn was named “National Coach of the Year” last season. He was Auburn’s offensive coordinator from 2009-2011 when the Tigers won the National Title in 2010. Malzahn, a native of Fort Smith, AR, left Auburn to take the head coaching job at Arkansas State for the 2012 season, winning the Sun Belt Conference title, before coming back to Auburn to take the helm of the Tigers a year ago. He and his wife Kristi are the parents of two daughters – Kylie and Kenzie. 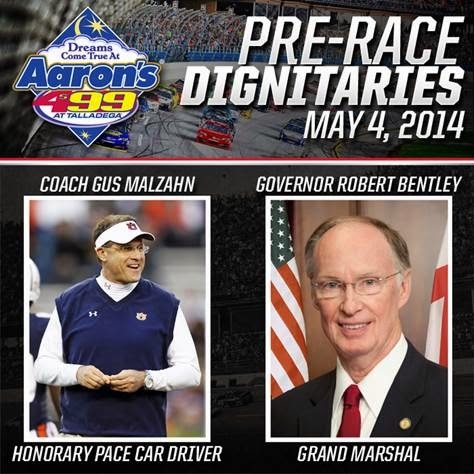 Both Governor Bentley and Coach Malzahn will be a part of pre-race festivities at the Driver Introductions Stage at the start/finish line. Fans can witness pre-race activities with a “Pit Pass Upgrade” for $75 (in addition to an admission ticket), which allows access in front of the stage to see Driver Introductions plus be a part of a Q&A with drivers, scheduled to begin at 8:30 am (Jamie McMurray, Ricky Stenhouse, Denny Hamlin, and David Ragan scheduled to appear). Fans also can stroll pit road and watch the competitors walk the Red Carpet into the Drivers Meeting with the “Pit Pass Upgrade.” The pass goes into effect on Sunday from 8 am until the conclusion of driver introductions. Secure your tickets at www.talladegasuperspeedway.com or by calling 877-Go2-DEGA. When Chase Elliott took the NASCAR Nationwide Series checkered flag at Texas Motor Speedway earlier this month, he joined fellow rising star Kyle Larson in the 2014 win column. Before their headline-making victories on one of the sport’s biggest stages, Elliott and Larson were the next in a wave of young talent making its way up the NASCAR ladder. Like Elliott and Larson before them, the 12 drivers named today to the 2014-15 NASCAR Next class have résumés loaded with accomplishments and promise. The roster was unveiled at Richmond International Raceway and marks the kickoff of the fourth installment of the industry initiative designed to spotlight NASCAR’s rising stars. The 12 new NASCAR Next drivers have already won 20 times, and hold the honors as the youngest winners in the NASCAR K&N Pro Series, NASCAR Mexico Toyota Series and NASCAR Camping World Truck Series, as well as youngest NASCAR Whelen Modified Tour champion and highest finishing female in NASCAR K&N Pro Series history. The list also includes the 2013 NASCAR K&N Pro Series East and West Sunoco Rookies of the Year. The team was selected through an evaluation process that included input from industry executives and veteran racers. Drivers must be between the ages of 15-25, have tangible and expressed goals in eventual competition in the NASCAR Sprint Cup Series and possess the potential to realize that goal. Additionally, each driver in NASCAR Next must be actively competing in a NASCAR touring or weekly series – NASCAR K&N Pro Series East or West, NASCAR Whelen Modified Tour, NASCAR Whelen Southern Modified Tour, NASCAR Canadian Tire Series presented by Mobil 1, NASCAR Mexico Toyota Series, NASCAR Whelen Euro Series or NASCAR Whelen All-American Series. NASCAR Nationwide Series and NASCAR Camping World Truck Series competitors also are eligible provided they are not slated to run a full season in their respective series. Former NASCAR Next members who have made an impact in NASCAR’s national series include Ryan Blaney, Alex Bowman, Jeb Burton, Chase Elliott, Dylan Kwasniewski, Kyle Larson and Darrell Wallace Jr.
• Cole Custer (16 years old, Ladera Ranch, Calif., Twitter: @colecuster00) – A two-time winner in the NASCAR K&N Pro Series East in 2013, he opened the K&N Pro Series West season this year with a victory from the pole in Phoenix. • Rubén García Jr. (18, Naucalpan, Mexico, @rubengarcia4) – The 2012 NASCAR Mexico Toyota Series Rookie of the Year continues to improve and finished fourth in the standings last season. Earlier this season, he made his NASCAR Nationwide Series debut. • Gray Gaulding (16, Colonial Heights, Va., @graygaulding) – Holds the mark for youngest pole winner in both the NASCAR K&N Pro Series East and West, and recorded his first series win at Phoenix last fall. • Ryan Gifford (25, Winchester, Tenn., @ryangifford2) – The NASCAR Drive For Diversity driver scored the 2013 NASCAR K&N Pro Series East win at Richmond and posted an impressive top-10 finish in his NASCAR Nationwide Series debut last August in Iowa. • Austin Hill (20, Winston, Ga., @hillbroracing) – The winner at last year’s K&N East race at Dover, he has two top-five finishes in this season’s four races. • Erik Jones (17, Byron, Mich., @erik_jones) – Made his mark on the NASCAR Camping World Truck Series last November in Phoenix by becoming the youngest winner in series history. • Jesse Little (17, Sherrills Ford, N.C., @jesselittle97) – The 2013 Sunoco Rookie of the Year in the NASCAR K&N Pro Series East. He made his first series start just 11 days after turning 15 in 2012. • Dylan Lupton (20, Wilton, Calif., @LuptonDylan) – The 2013 NASCAR K&N Pro Series West Sunoco Rookie of the Year picked up his first series victory at Evergreen Speedway in August. • Brandon McReynolds (23, Mooresville, N.C., @Bmcreynolds28) – With starts in four different NASCAR series, he is chasing the championship in the K&N Pro Series West, where he is second in points. • Ryan Preece (23, Berlin, Conn., @RyanPreece16) – He became the youngest champion in the history of the NASCAR Whelen Modified Tour last season while balancing a 43-race schedule in the NASCAR Whelen All-American Series (finished fourth in the national standings) and making his NASCAR Nationwide Series debut. • Ben Rhodes (17, Louisville, Ky., @benrhodes) – The current points leader in the NASCAR K&N Pro Series East with three poles in four races, and a win at Greenville (S.C.) Pickens Speedway. He scored an impressive top-10 finish in his NASCAR Camping World Truck series debut at Martinsville. • Kenzie Ruston (22, El Reno, Okla., @KenzieRuston) – She finished sixth in last season’s K&N Pro Series East season standings and has top 10 finishes this season at New Smyrna and Daytona. She has the highest finish – both in a race and in the championship standings – for a female driver in K&N Pro Series East history. 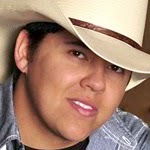 NASCAR and country music have always gone hand-in-hand, and no one personifies that combination more than singer-songwriter Tim Dugger, who will be performing as part of the free Saturday Night Infield Concert at Talladega Superspeedway during the Aaron’s Dream Weekend. The singer behind NASCAR anthem “You Know Who We Are” will rock the infamous Talladega infield on May 3, opening for country star Randy Houser. The Saturday Night Concert has become a tradition at Talladega Superspeedway with top music acts playing on a stage next to the infamously rowdy Talladega Blvd. Fans with tickets to Sunday’s Aaron’s 499 will receive free access to the concert. Headlining clubs along the NASCAR circuit for years, Dugger has amassed a loyal following of race fans, drivers, and crew chiefs. Songs of his like “Sunday Drive” and “You Know Who We Are” speak directly to the sport of NASCAR and the energy and excitement found on the track and in the stands each week. Over the past few years, Dugger, an Alabama-native, has performed with a wide variety of top country artists including Trace Adkins, Sarah Evans, Diamond Rio and Craig Morgan. He was featured in the television reality show “Highway to Fame” and is a favored performer at several Nashville hot spots. Saturday’s activities kick off at 10 am with the ARCA Racing Series International Motorsports Hall of Fame 200, followed by “Knockout” group qualifying for the Aaron’s 499 NASCAR Sprint Cup race, and the start of the Aaron’s 312 NASCAR Nationwide Series event. 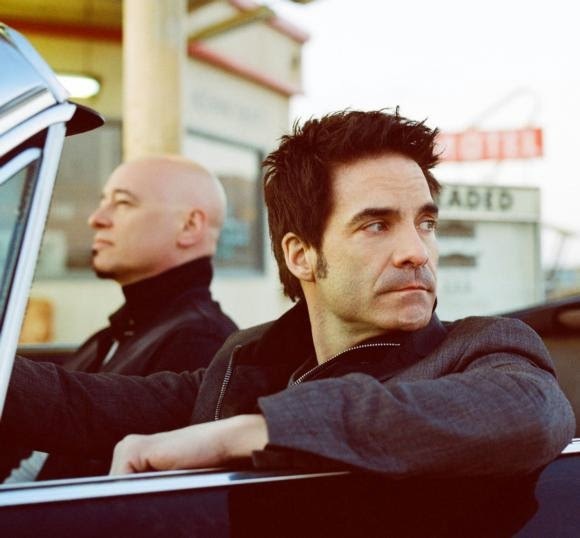 Prior to the drop of the green flag for the NASCAR Sprint All-Star Race on Saturday, May 17, fans can enjoy a performance by GRAMMY Award-winning pop rock group, Train, as part of Time Warner Cable and Fox Sports 1 All-Star Night at Charlotte Motor Speedway.The concert will take place between qualifying and the start of the NASCAR Sprint All-Star Race. The San Francisco-based group has achieved much success since originally forming in 1994, winning three GRAMMY Awards and two Billboard Music Awards. Some of their biggest singles include, “Drops of Jupiter (Tell Me),” “Hey, Soul Sister,” “Calling All Angels,” “Marry Me” and “If It’s Love.” Their sixth studio album “California 37,” released in 2012, produced their latest hits “Drive By” and “Bruises,” featuring country music artist Ashley Monroe. For just $99, fans interested in taking in an entire weekend of racing can get a NASCAR Sprint All-Star Race weekend ticket package with a frontstretch ticket to the race on Saturday, May 17, plus a ticket to the North Carolina Education Lottery 200 NASCAR Camping World Truck Series race and Sprint Showdown on Friday, May 16. The special also includes your choice of a race scanner, a ticket to the NASCAR Hall of Fame or a trackside tram tour of Charlotte Motor Speedway. Tickets can be purchased by calling the speedway ticket office at 1-800-455-FANS (3267) or online at www.charlottemotorspeedway.com. Connect with Charlotte Motor Speedway by following on Twitter at www.twitter.com/CLTMotorSpdwy or become a Facebook fan at www.facebook.com/charlottemotorspeedway. Major changes are once again on the NASCAR horizon, and sooner than most would have believed. In comments to the Des Moines Register today, NASCAR senior vice president of racing operations Steve O'Donnell said the sanctioning body will announce significant changes to engines, downforce, aerodynamics and tires, prior to the NASCAR Sprint All-Star Race at Charlotte Motor Speedway on May 17. Speaking at an Iowa Speedway sponsor summit, O’Donnell said those proposed changes are focused on one goal; bolstering on-track competition. He called racing on NASCAR’s 1.5-mile speedways "better" in 2014, but added, "We've still got work to do. Brian (France) has talked about more and more lead changes (and) that's the end goal. "If you combine the aero package with that (reduced) horsepower (and) allow some aero changes… going into the corner, drivers have to get off the gas,” O’Donnell said. “Combine that with Goodyear and a little softer tire, now you're able to move around a little bit more." O’Donnell said Goodyear will play a major role in the 2015 changes, building tires that are softer than those currently being used. "If you watched last year … 50 laps into a run, 10 laps to go, nobody (pitted) for tires," said O'Donnell. "And if one guy did, it didn't matter. You think, 'Wait a minute, that's not right.' So tires are a big part of this as well, in getting (the package) right." As BK Racing embarks on this weekend's Toyota Owners 400 at Richmond International Raceway, the team will have several new additions to the fray, including the addition of Scorpyd Crossbows as a two-race primary sponsor for Richmond and Talladega. BK Racing's newest driver, Cole Whitt, will drive the No.26 Scorpyd Crossbows Toyota Camry as he competes for Sunoco Rookie of the Year in his debut race under the BK Racing flag. Scorpyd Crossbows and Reverse Draw Technology are both creations of Crossbow innovator Jim Kempf and feature product lines such as the Velocity, the Ventilator, the VTEC, and the ORION. The Scorpyd Crossbows announcement comes on the heels of Anthony Marlowe's No. 26 Toyota team joining BK Racing as a third entry. Marlowe's operation was merged with BK Racing earlier this week, following the shutdown of Swan Racing. Cole Whitt will remain behind the wheel of the No. 26, with crew chief Randy Cox making the calls from atop the box. "I acquired the No. 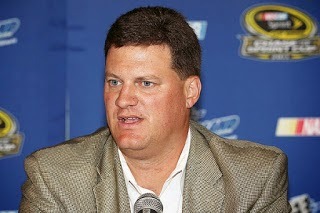 26 NASCAR Sprint Cup team and merged my ownership with BK Racing," said Anthony Marlowe. "I look forward to being part of Ron Devine's amazing ownership group and vision. Cole Whitt will continue behind the wheel of the No. 26 and is off to the Toyota Owners 400 at Richmond International Raceway this weekend along with our new teammates, Alex Bowman and Ryan Truex." "This is truly an exciting day for BK Racing," said team owner Ron Devine. "I am thrilled to continue growing our organization into a top contending NASCAR Sprint Cup Series team. Cole is a very talented driver and Randy as his crew chief make a great combination and I'm excited to have them both in our stable." "We are extremely excited to be a sponsor in NASCAR and partner with BK Racing for select races in 2014," said Scorpyd Crossbows President and CEO Jim Kempf. "I have been a big fan of NASCAR ever since I was a kid, this is a dream come true, and Scorpyd Crossbows has a lot in common with the BK Racing team. Scorpyd Crossbows makes the world's fastest, highest performance crossbows, and we look forward to aligning ourselves with crossbow hunter and NASCAR driver Cole Whitt." "I'm really excited to get on the track for BK Racing,” said Whitt. “It was a lot of work this past week with the team swap, but I'm so thankful for the opportunity that Anthony and Ron have given me. Being an avid outdoorsman, it's really cool to represent a brand like Scorpyd. I can't wait to hit the track this weekend in Richmond." 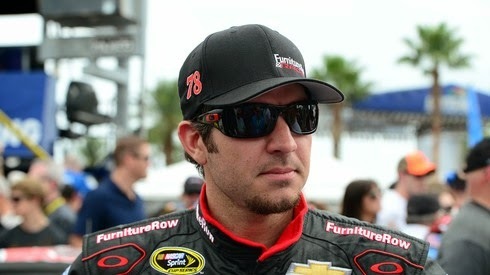 Martin Truex Jr. says his Furniture Row Racing team is overdue to show its talent on a short track. The next opportunity for the Denver-based team to reverse its short track woes comes Saturday night in the Toyota Owners 400 at the 0.75-mile Richmond International Raceway. At the half-mile Bristol Motor Speedway in mid-March, Truex’s Furniture Row/Denver Mattress Chevrolet was 14th and charging in the late stages of the race. But a broken track bar mount sent him to the garage for repairs and an eventual 36th-place finish. “Our Furniture Row Chevrolet kept on getting better and better at Bristol and I was confident that we had a potential Top-10 performance, before the breakage,” said Truex. Two weeks later at the half-mile Martinsville Speedway, Truex saw another strong performance go for naught. After taking a couple of hard hits at the crowded flat track, Truex kept plugging through the damage and was moving forward. But a speeding penalty while running in the Top-10 sent him to the rear of the field just past the halfway point. He attempted another late-race charge, but a spin sent relegated him to a disappointing, 21st-place finish. Truex has always had a fondness for the Richmond short track, where he has posted three career Top-10 finishes. 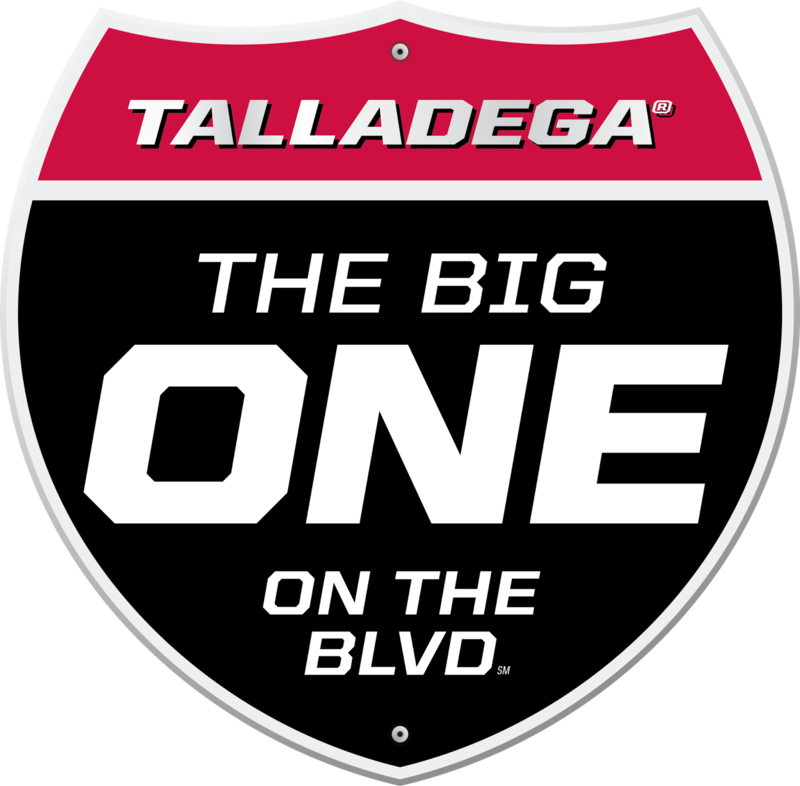 Talladega Announces "Big One On The Blvd." NASCAR Sprint Cup drivers, a moonpie eating contest, BBQ sauce wrestling; these are just a few of the items on the docket for Talladega Superspeedway’s first ever “Big One on the Blvd.,” a Friday night parade celebrating the wild side of the track’s infamous infield. Talladega Blvd. is considered NASCAR’s “Party Capital,” making it the perfect place to kick off the Aaron’s Dream Weekend on May 2-4). When the parade gets rolling at 6:45 pm CT Friday at the north end of Talladega Blvd., Sprint Cup drivers Clint Bowyer, Kevin Harvick, Ricky Stenhouse Jr. and Austin Dillon will be atop the lead float throwing out swag and welcoming fans to NASCAR’s version of Mardi Gras. The parade will make its way down the Blvd., building excitement as it passes the most colorfully decorated campsites in NASCAR. At the south end of the Blvd. the parade will come to a halt, and from there the party begins. Following a brief driver Q&A with by ESPN NASCAR Analyst Marty Smith, who will be on hand with local radio personalities detailing the storylines of the Aaron’s Dream Weekend, Talladega’s hungriest fans will battle it out in the track’s inaugural Moonpie Eating Contest. Participants will consume as many of the delicious cakes as they can in a few minutes time. And just as those fans are cleaning the chocolate and marshmallow from their faces, things will get even stickier. In a pit filled with barbecue sauce, Talladega’s bravest fans will have a chance to brawl in the world’s first ever BBQ Sauce Wrestling match. After four rounds of smoky-flavored smackdown, the victors will join the Moonpie Eating Champion on stage to be honored and interviewed. The craziness continues throughout the Aaron’s Dream Weekend. Saturday, May 3 will go down as one of Talladega Superspeedway’s most eventful days. There will be two races—ARCA’s International Motorsports Hall of Fame 200 (10 am) and the Nationwide Aaron’s 312 (2 pm)—what basically amounts to another race—the all new “Knockout” Sprint Cup qualifying format (12:10 pm)—and the Saturday Night Infield Concert featuring country star Randy Houser and NASCAR favorite Tim Dugger. The main event Aaron’s 499 NASCAR Sprint Cup Series race will close out the incredible weekend on Sunday, May 4 at noon. The track has ticket options for fans of all ages, as well as hundreds of acres of free Camping. To find out more, call the Talladega ticket office at 1-877-Go-2-DEGA. What If Yankee Michael Pineda Was A NASCAR Driver? 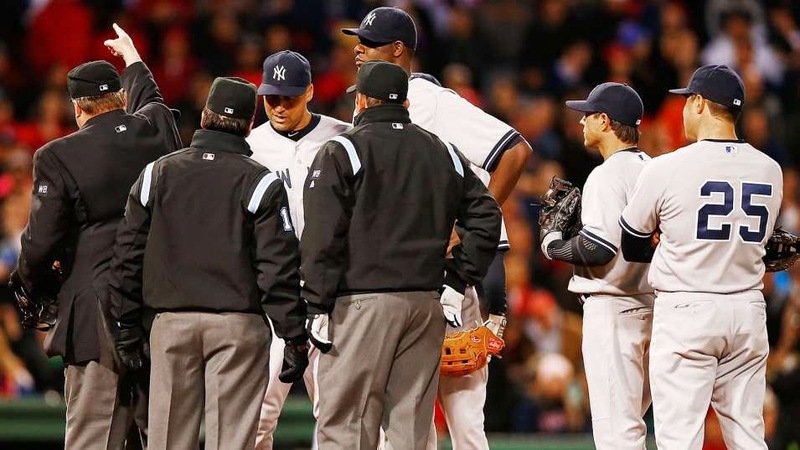 New York Yankees pitcher Michael Pineda was ejected in the second inning of his start against the rival Boston Red Sox last night, after umpires discovered pine tar smeared across the side of the 25-year old hurler’s neck. Pineda’s use of the substance violated Major League Baseball Rule 8.02(b), which states, "The pitcher shall not ... have on his person, or in his possession, any foreign substance." Pine tar is generally used to improve a pitcher’s grip on the baseball, increasing both velocity and control, especially in cold weather. Pineda is also believed to have used pine tar in his previous outing against Boston, but Red Sox manager John Farrell elected not to press the issue at that time. Wednesday, Pineda’s violation of the rules was so blatant that Farrell had little choice but to point it out to plate umpire Gerry Davis. 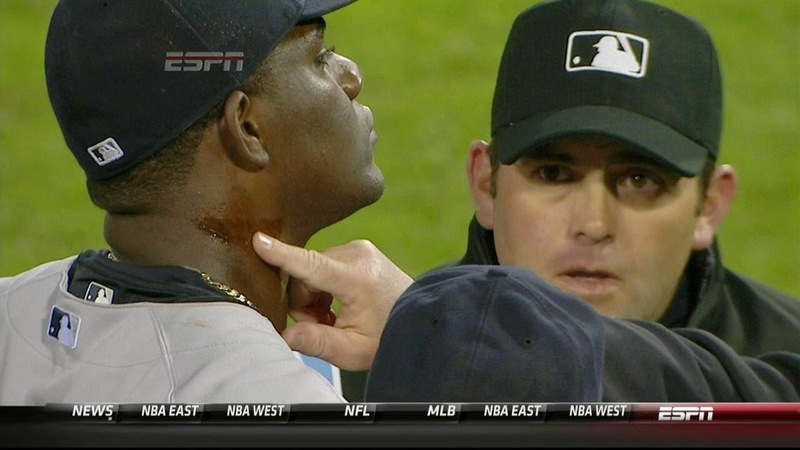 Pineda was immediately tossed from the game, and almost certainly faces a hefty fine and suspension from MLB. What if Pineda were a NASCAR driver, instead of a Major League Baseball pitcher? Past history suggests that things would have gone much differently. First, Yankee manager Joe Girardi would have exploded from the dugout to defend his pitcher, immediately denying any and all wrongdoing. “It’s not pine tar,” he would insist. “It’s an antihistamine ointment prescribed by our team physician to treat a severe case of poison oak. When laboratory analysis subsequently proved the offending substance to indeed be pine tar, Girardi would immediately change his story, saying the club purchased 1,200 cases of antihistamine ointment from an aftermarket supplier, but mistakenly received pine tar instead. Pitching coach Larry Rothschild would claim that even though pine tar was present, it provided Pineda with “no significant competitive advantage. General Brian Cashman would then follow with a tersely-worded press release, claiming the pine tar had been applied by an unnamed equipment manager without the knowledge, consent or approval of the Yankees’ front office. "However," Cashman would say, "We stand behind him 100%"
Swan Racing announced today that it has successfully restructured the company by finding solutions for the Nos. 26 and 30 teams in an attempt to save the jobs of the crews, the drivers, and to keep those teams competing throughout the 2014 NASCAR Sprint Cup Series. As a result, Anthony Marlowe has merged his ownership of the No. 26 team into BK Racing, effective immediately. Cole Whitt will remain behind the wheel of the No. 26. The No. 30 team has been sold to John Cohen of XxxTreme Motorsports, who will operate the team going forward with veteran driver J.J. Yeley. 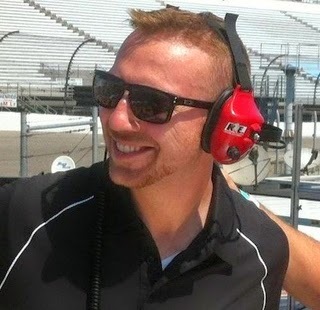 Stephen “Bones” Lane will serve as crew chief, joined by several other former Swan Racing crewmembers. Driver Parker Kligerman remains under contract with Swan Racing, which will seek to identify options for him to get back on track. 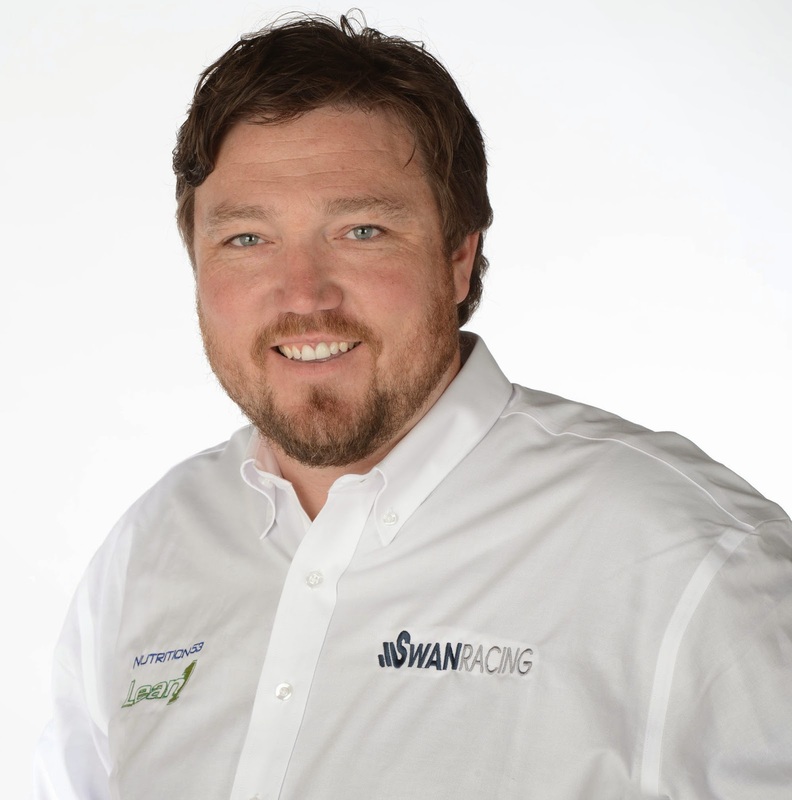 Team owner Brandon Davis commented on the move, saying, “I want to first thank our employees, fans, and others in the NASCAR industry for their patience and understanding over the past several days while we work out the future of Swan Racing. “As previously stated, the team is restructuring due to a lack of additional funding. However, over the past couple weeks, we worked tirelessly to find an alternative to ending operations. Fortunately, we were able to find a home for the No. 26 team and the No. 30 team, thanks to Anthony Marlowe and Jonathan Cohen respectively. “Anthony and Jonathan are both young and ambitious NASCAR enthusiasts. It is important to keep them in the sport for the long term. I am very relieved to know that the Nos. 26 and 30 teams will be in good hands and will continue to compete the remainder of the 2014 NASCAR Sprint Cup Series season. Most importantly, most of the team members have the opportunity to continue their employment in the sport and to support their families. This was critically important to me. “Swan Racing is exploring any and all options to keep Parker Kligerman on track throughout the season. We are encouraged by the response we have received from interested parties. Parker continues to be one of the most talented young drivers in NASCAR. He brought this racing team one of its strongest results in his first race with us, and we are certain of his success in the future. “I respect Brandon Davis and everything he has done for the Swan Racing Company,” said Marlowe today. 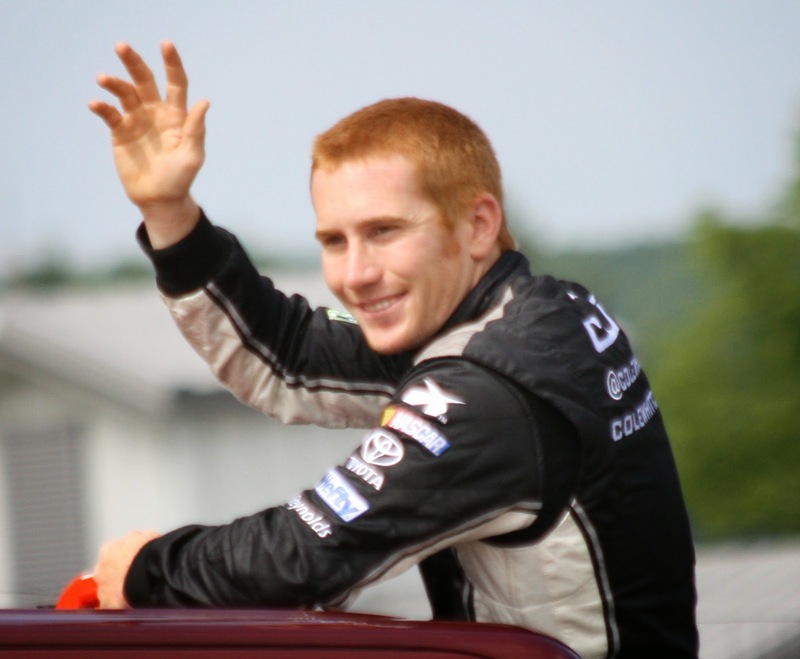 “Looking forward, my mission is to ensure Cole Whitt races in every NASCAR Sprint Cup event this season. I am thrilled about the No. 26 team merger with my new partners at BK Racing. My friend Ron Devine and the BK Ownership group really stepped up to enable me to keep the No. 26 on the track. Cole and Randy are off to an auspicious start in 2014 for a new Cup Team and we are gearing up for Richmond. In addition to the No. 26 team’s performance so far this year, the new ‘win and you’re in’ system and qualifying rules were motivating and positive factors in my continued investment in NASCAR." “I’ve always had a good relationship with Brandon and always said if we can help each other or work together when the time is right that we should do it,” said Cohen. Talladega To Present New "Freedom Trophy"